Google’s search results are constantly being updated. With new features being tested and added on a regular basis, it can be hard to keep up with the rate of change. In order to gain as much visibility as possible on Google for your business or brand, you need to keep on top of these changes and work out how best to optimize your website for the ever-expanding opportunities (and challenges) that Google Search presents. As Dave Chaffey pointed out in his Chart of the Day from July on the incredible shrinking organic SERPs, these updates and additions of features to the search results can often mean that the standard organic listings that as marketers and SEO professionals we have always focused on are pushed further and further down the page. Search marketing remains one of the most important acquisition channels for most businesses. Achieving visibility for your target keywords and outranking competitors is vital to the future of many businesses. 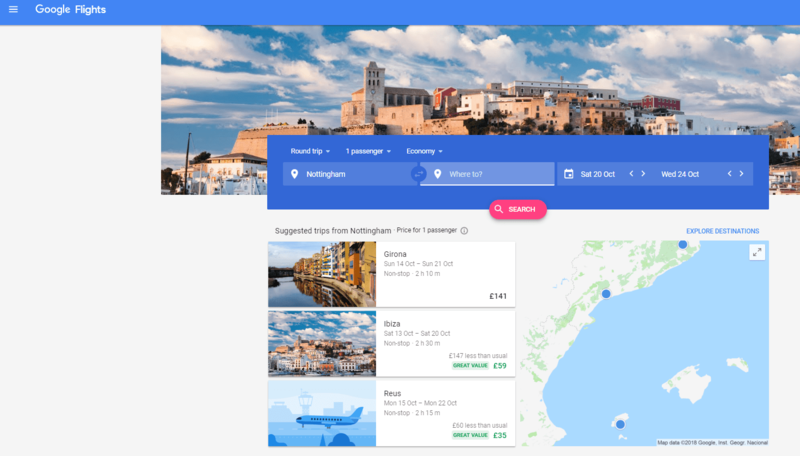 Ultimately, Google wants to provide the very best results to their users, whilst also keeping them within the Google ecosystem for as long as possible. 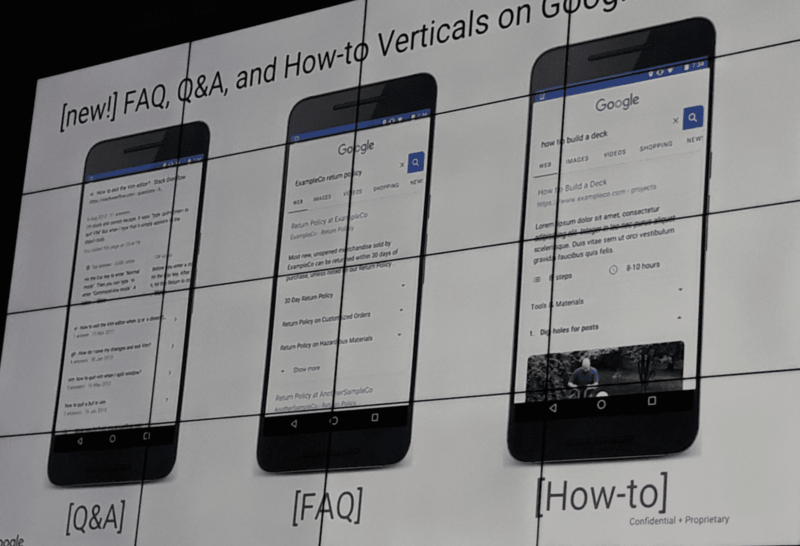 Cindy Krum, at the recent Inbounder conference in Madrid, stressed that we need to keep in mind that Google doesn’t just want to index websites, they “want to organize the information of the world”, whether that’s with direct answers, apps, PWAs, business listings, and so on. 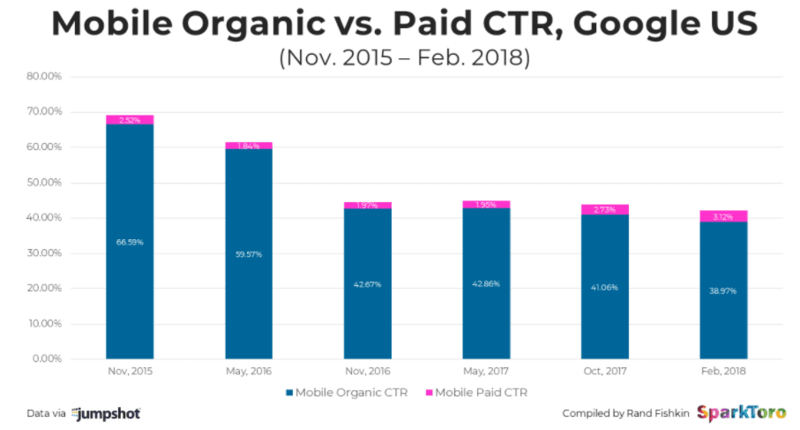 Rand argues that this data shows that we’ll need to think more carefully about how to influence searchers in Google without earning a click, which he calls “On-the-SERP-SEO”. We need to focus not only on gaining clicks through to our websites but on how we can best utilize Google’s On-the-SERP opportunities where relevant to our brands/businesses. What all this means for us as marketers is that we need to ensure we’re thoroughly researching the search landscape for our specific industry, looking at what types of results are featured for our target keywords on both desktop and mobile, and also what our competitors are focusing on. Depending on what type of result you’re trying to claim, this could mean marking up your content with relevant schema or optimizing for different types of SERP feature - such as featured snippets. 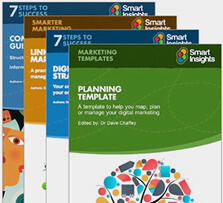 In this guide, I will run through some of the key types and how, as things currently stand, you should optimize for them. But remember, things are constantly evolving so you need to keep up to date with developments for your specific industry. There are essentially two main categories of SERP feature. 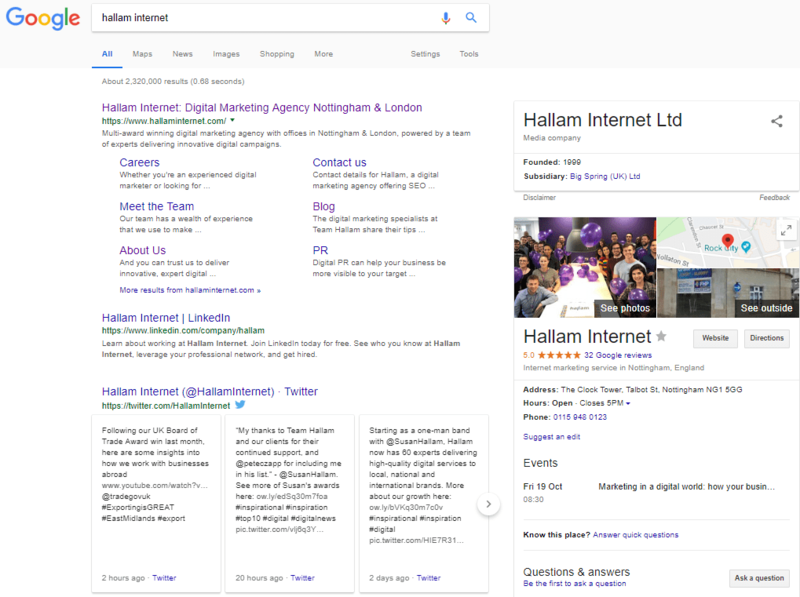 The first is featured snippets - when your content is selected by Google as being the most worthy to appear as a special feature within the results for a particular keyword or question and is not generally associated with structured data or marking up your content with a schema. 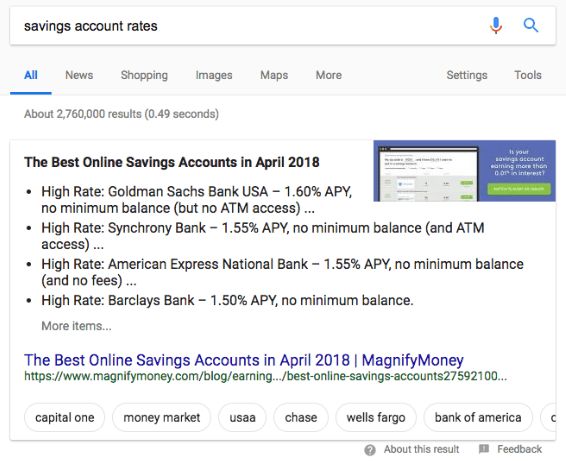 You can find more information on how to optimize for featured snippets and how to find and steal featured snippets from your competitors. 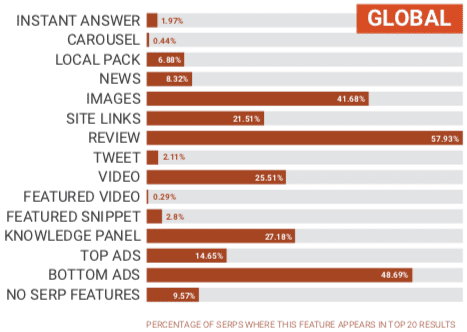 This study by SEMrush provides more detail on the different kinds of featured snippet and how to rank for them in 2018. 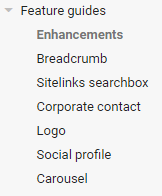 As of September 2018, Google has been spotted testing grouping or clustering these refinement filters into pairs. 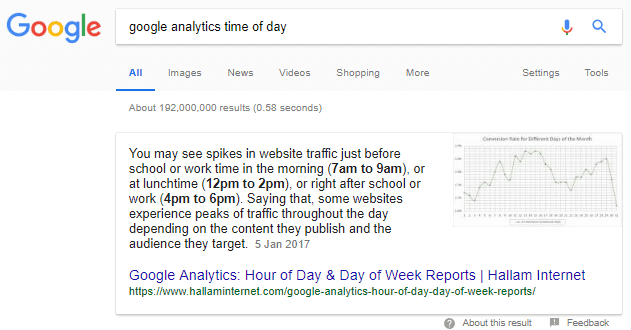 Here is a screenshot on Twitter from Dan Nutter that captured this in action in the Google search results. The second group of search features are displayed when you mark up your pages with schema, increasing the chances of your content appearing as rich results. Google provides a large amount of guidance in this area and you can view a full gallery of all the different types of rich results on Google Search and the structured data required for them. Content type: Many search features are tied to the topic of your page. For example, if the page has a recipe or a news article, or contains information about an event or a book. Google Search results can then apply content-specific features such as making your page eligible to appear in a top news stories carousel, a recipe carousel, or an events list. Enhancements: These are features that can be applied to more than one kind of content type. For example, providing review stars for a recipe or movie, or exposing a carousel of rich results (previously known as rich cards). To do this, you would add product schema to your products in order to pull through prices, availability and review ratings to the search results. You can use SEMrush’s Organic Research report to see if any special search results are being displayed for keywords that your site is ranking for. 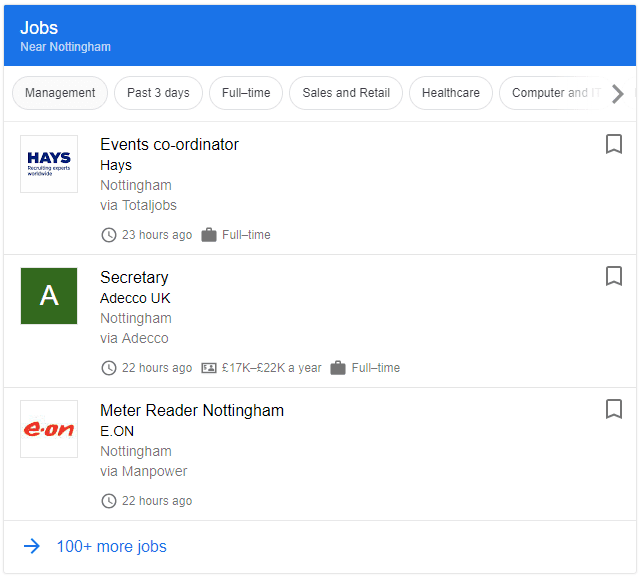 The above result was delivered for “jobs near me” and appeared below the paid ads but above the standard organic listings. 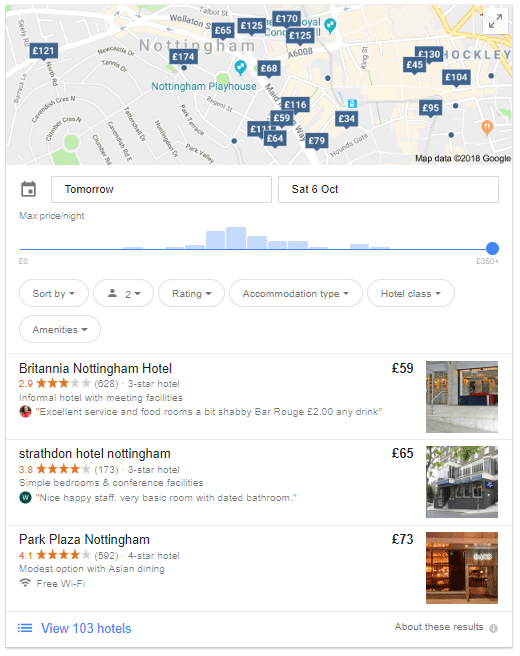 The below search for “hotels in Nottingham”, again, appears below paid ads but above the organic listings. 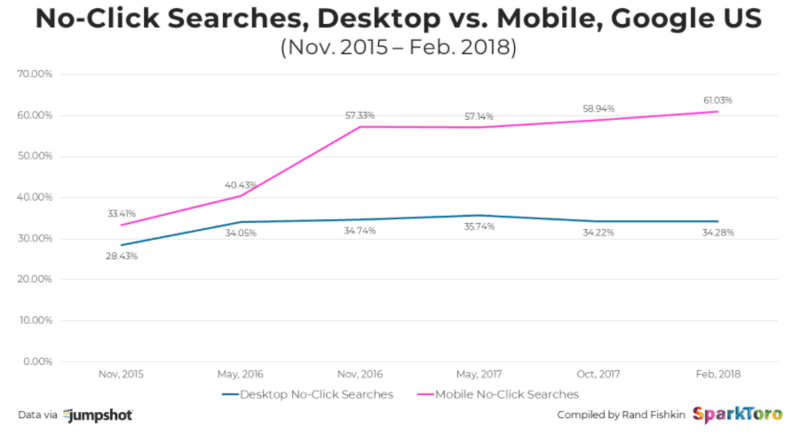 The importance of gaining visibility in this rich result is even more obvious than job postings as the organic results are pushed far below the fold on desktop, and several scrolls down the page on mobile. At a recent conference (the Dance Singapore Event in July) Google unveiled new search features being tested, which are powered by less commonly used types of structured data; demonstrating that Google is moving more and more towards entity indexing across the board. There is QAPage, Question, and How-to schema available, however, Google hasn’t added them to the supported schema list yet. These features don’t appear to be live in the search results yet, however, it is something you can start investigating for your site if you want to get ahead of the game. 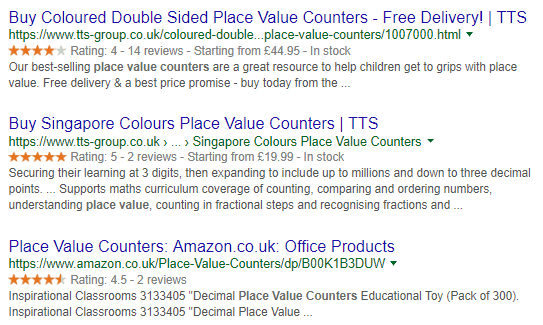 These results would mean that a lot of content would be put directly into the Google search results, rather than a visitor going to the website itself. 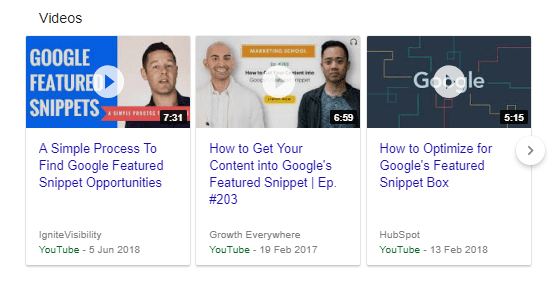 Featured snippets are currently pulled from onsite content, as described above, however, these snippets will be powered by structured data schema markup. For the Q & A in the image above, you can see a “more” link, with a snippet is being displayed, not the full answer, so there would still be some click-through traffic from the search results. The “how to build a deck” example shows a concise version of what would likely be a much more in-depth guide on the actual page. It’s clear though that for any sites that are able to gain these snippets in the future they will be gaining a huge amount of visibility. "We’re always looking for new ways to provide the most relevant, useful results for our users. We’ve recently introduced new ways to help users understand whether responses on a given Q&A or forum site could have the best answer for their question. By bringing a preview of these answers onto Search, we’re helping our users more quickly identify which source is most likely to have the information they’re looking for. We’re currently working with partners to experiment with ways to surface similar previews for FAQ and How-to content." What’s clear from all this is that Google is always looking for new ways to use structured data and incorporate it into improving their search results. With the HowTo schema, for instance, this could feasibly be used by Google Assistant & Google Home to read out instructions on how to fix a broken appliance or other things around the home. Yoast has been early to the game in creating guides for how to implement HowTo schema and how to build FAQ pages with Yoast SEO and Gutenberg. This is recommended reading for marketers looking to get ahead of the game with schema and potentially boost their presence in Google’s SERPs and voice search in the future. Hopefully, this guide has given you some ideas on the kinds of opportunities available in Google Search for optimizing your content for different kinds of search features and rich results. The key takeaway for you is to research the different features in the SERPs for your target keywords, phrases and queries and work out how you can obtain more of a presence by optimizing for them. Also, remember to review your competitors so you can benchmark your performance as you begin your campaign. As Head of Owned Media at Hallam, Charlotte Tomlinson manages a team of specialists alongside developing digital marketing strategies for a portfolio of B2B and B2C clients, ranging from SMEs to large international businesses. She specializes in SEO, paid search and content marketing.